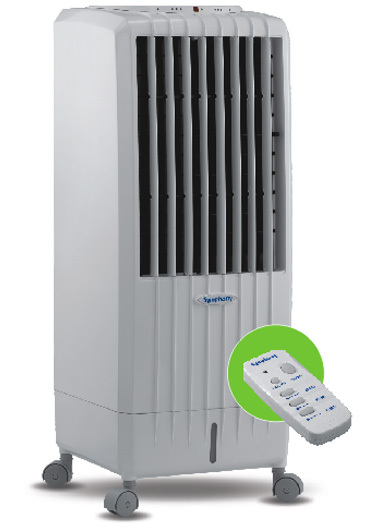 This sleek little power house has an air throw of 25 feet and is ideal for rooms up to 125 sq. ft. This hush cooler thrives on very little energy as well. 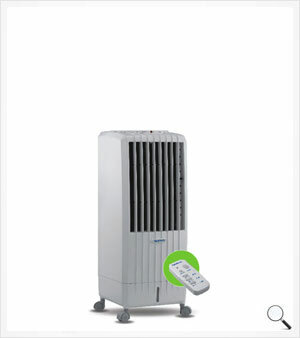 Its a advanced electronics make Diet 8E the most stylish cooler in its category. The only sounds you here while Diet 8E is functioning is your comments of appreciation. Don't the best things come in small packages?